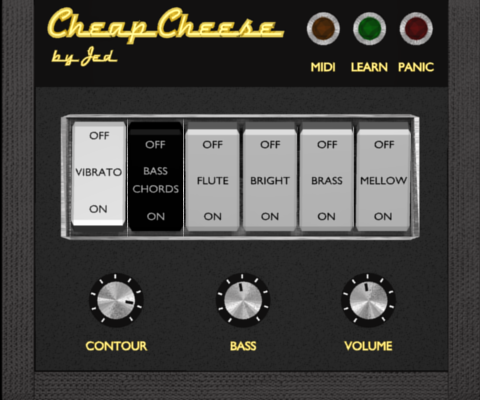 I'm really pleased to announce the release of the "Cheap Cheese" VST® Instrument. It's a vintage organ modelled after some famous home combo organs of the 70's. Go to the Documentation section to learn more about "Cheap Cheese". Go to the Downloads section to download and try it.